The Service Design deck breaks the service design process into four phases and offers 49 methods. 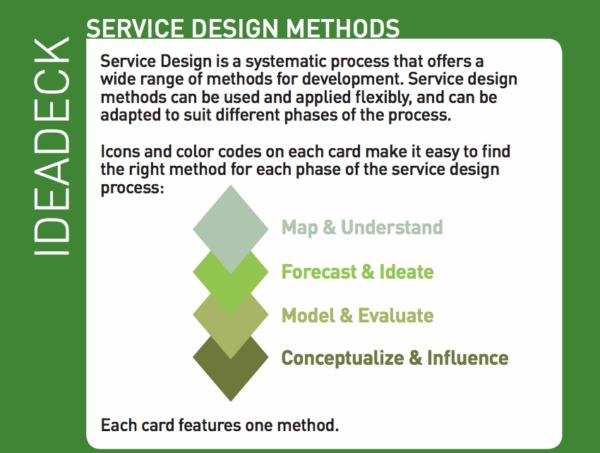 The service design process is flexible and iterative by nature, making the methods well-suited for many purposes and for different phases of the process. Service design can be used to tackle many kinds of challenges: to improve customer experience, design better internal services, create a more customer-centric culture or innovate new service offerings. 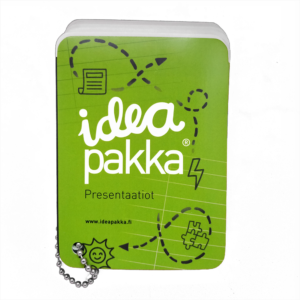 The Service Design deck is not just about the process and methods – it’s about a new approach and a novel way of thinking. 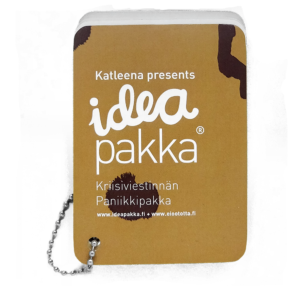 Check out Ideapakka’s Finnish blog for more information. 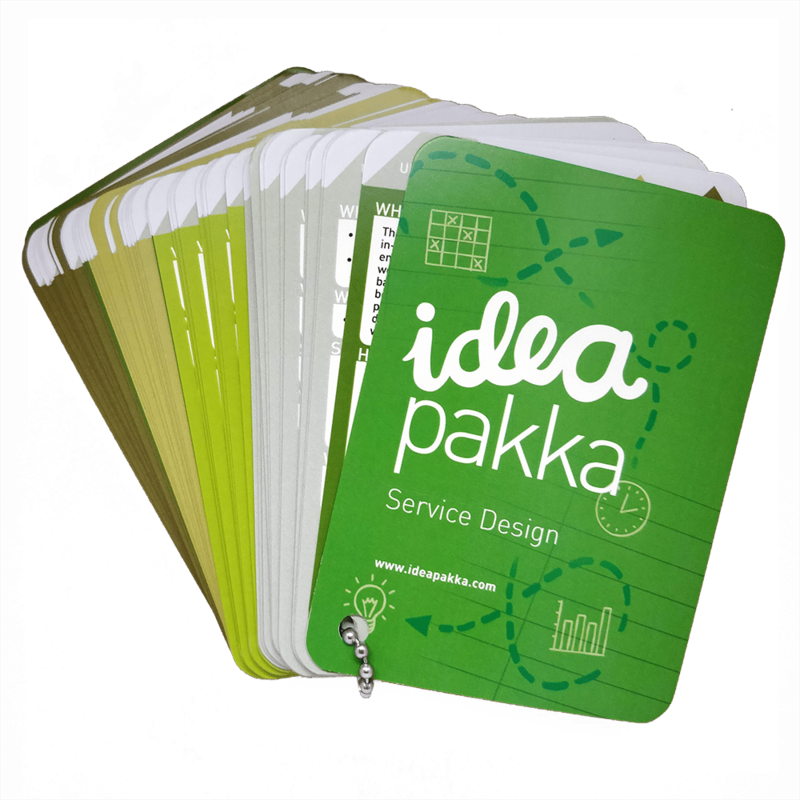 The Service Design deck suits everyone interested in using the service design approach and its versatile methods. 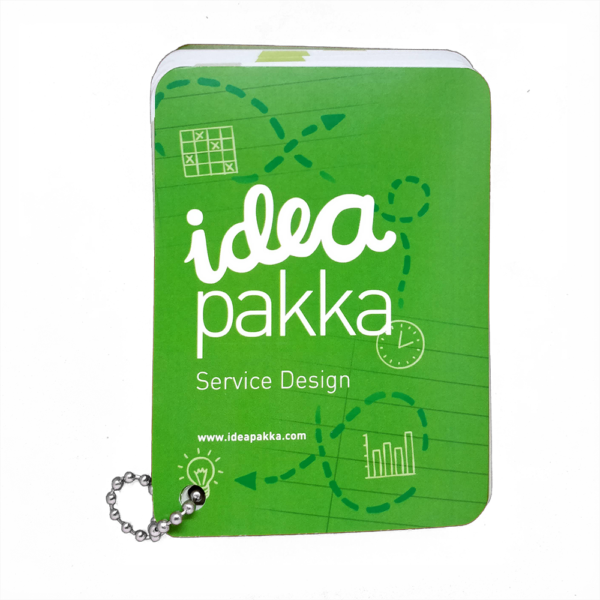 Want to gain a deeper understanding about service design and try out the methods? 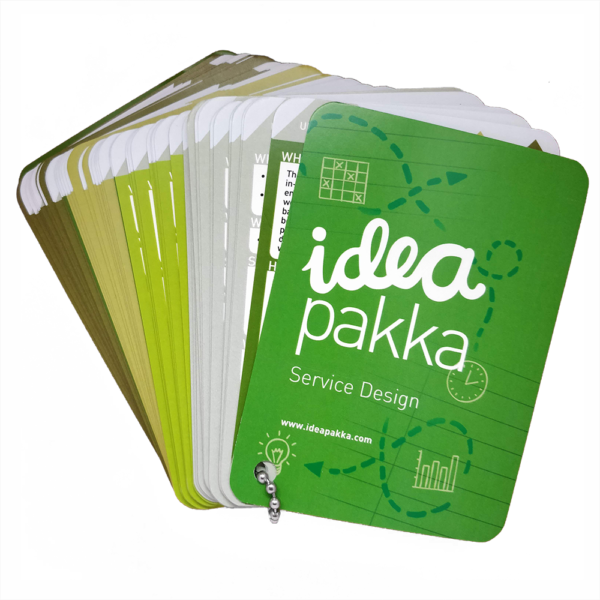 Ideapakka also offers training and workshops in service design. Final price might be adjusted when checking out. 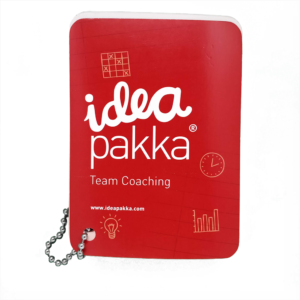 Finland: Free shipping, VAT 10% included. Rest of the World: Fixed delivery rate 7€. VAT 0%.